Airman 1st Class Celeste Black, a crew chief with the 69th Maintenance Squadron, demonstrates the strength of the wings of the RQ-4 Global Hawk by sitting on one at Grand Forks Air Force Base, N.D., March 28, 2017. Black said she has yet to deploy to work on the Global Hawk overseas because of her fight with cancer, but hopes to be able to soon. 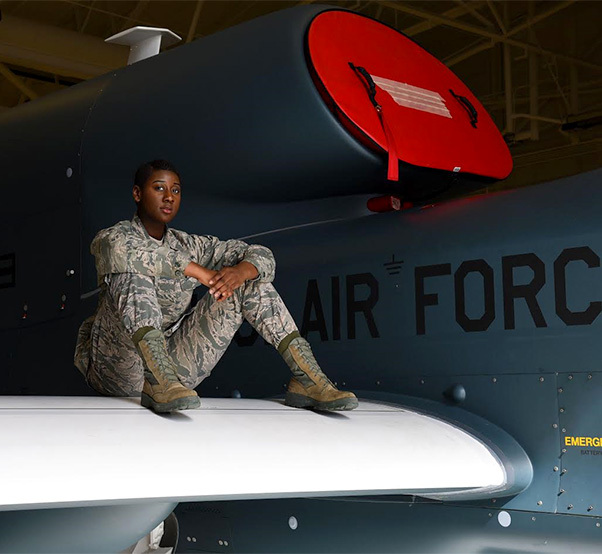 In February of 2016, Black was almost finished with her technical training at Beale Air Force Base, Calif., when she said she began to experience abdominal cramps and unusual bloating. When her symptoms worsened, Black decided to visit a doctor to figure out if something was wrong. “One weekend I went to a doctor, and at first he said my body just needed to get used to the environment,” Black said. Black had no choice but to go back to training, but returned to the doctor shortly after her first visit when the pain from her cramps escalated. On her second visit, she was given a CAT scan, and the doctors confirmed Black’s discomfort was not from lack of acclimation, but from two tumors located on each of her ovaries. 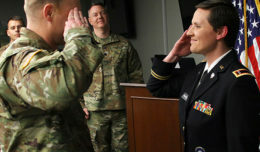 Unaware of the severity of the situation, Black said she decided to wait until after graduation from technical training to see a doctor at her first duty station at Grand Forks Air Force Base, N.D. Once she saw her primary care manager at the medical facility, it was decided Black should be transferred to Altru Hospital, a local hospital that had the resources to give Black an ultrasound. The Altru gynecologist who suggested the ultrasound told Black they wouldn’t know if the tumors were cancerous or not until she had them surgically removed in Minneapolis, Minn. It was then Black resorted to talking to one of her supervisors, Tech. Sgt. Cody Biorn, the aircraft section NCO in charge. “I called Sergeant Biorn, and he’s like, ‘Don’t worry about it, I’ll handle it,’” Black said. According to Black, Biorn and his wife, Jolene, were helpful in multiple ways. Biorn made sure Black was able to attend any and every appointment, and let her temporarily live in his home during her battle with cancer. 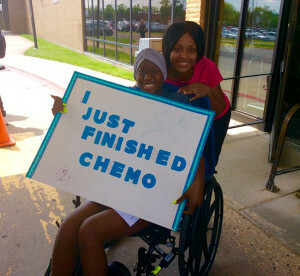 Jolene organized an online campaign in order to raise money to bring Black’s family and friends to see her and provide comfort and support during chemotherapy. In addition to the help from Biorn and his wife, Black’s other supervisor, Master Sgt. Aisha P. Wolfgang, the 69th MXS supply management NCOIC, played an important role. With the help of her supervisors, Black was able to go to Minneapolis a few weeks after her gynecologist visit for a major surgery that removed her left ovary and fallopian tube, and 12 pounds of tumor from her ovaries. “When I woke up, I was a different person,” Black said, mentioning that she lost about 65 pounds of tumor, water-weight and body fluids. Within a few days, Black and her family were told that she had ovarian cancer. Doctors explained to her chemotherapy would be the best option, and she should prepare for a variety of side effects that come with the treatment. Each of the four treatments would require a week-long stay in the hospital over the course of four months. 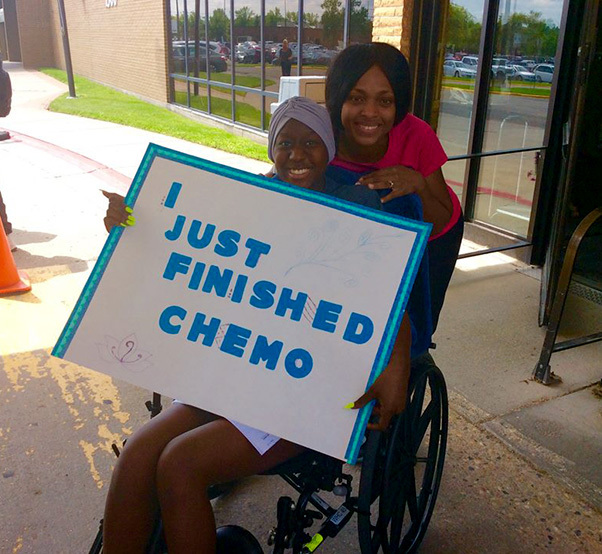 Black explained how terrible the chemotherapy sessions made her feel, but that the constant love and support from her friends, family and wingmen helped keep her spirits high. Despite the visits and gifts brought from people who cared about her, Black admits it was bittersweet. To fill her free time, Black said she read the Bible, watched movies, colored, studied her career development course and walked around the wing of the hospital she stayed in. Once her week of treatment was complete, Black went to the Biorns’ home to continue with her recovery. Biorn said it was the obvious choice to allow her to stay in his spare bedroom instead of return to solitude in her dorm room. “Black’s mom was concerned and kept asking if everything was being taken care of, and all I could say was, ‘Of course,’” Biorn said. Wolfgang explained how the situation brought everyone involved together, and admitted she personally felt humbled by the experience. Airman 1st Class Celeste Black, a crew chief with the 69th Maintenance Squadron, celebrates finishing her chemotherapy with Master Sgt. Aisha Wolfgang, the 69th MXS supply management NCO in charge. Even Black’s first sergeant, Master Sgt. Robyn Kaufhold, did what she could to help by offering support when she went to a few appointments and visited during chemotherapy. Black expressed her gratitude for having such a great support system that stayed with her throughout the whole process. “It felt really good to have them around, just being there for me,” Black confessed with a shy grin. 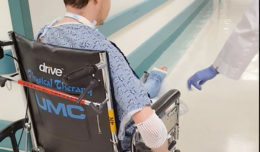 Although Black is now cancer-free and enjoys being able to work with her crew and spend time with friends outside of the confinements of a hospital room, she said she has occasional concerns the cancer could return. Black doesn’t believe it will come back, but admitted sometimes she can’t help when her mind wanders and thinks of the worst. Her biggest concern is that she may not be able to bear children. She stopped talking before allowing her mind to continue thinking about the possibility. “If it does come back, I’ll be a little more prepared for it,” she said fearlessly.